Early next year, state legislatures across the country will consider new laws related to dog racing and greyhound welfare. Most of these measures will be good bills that we will support. 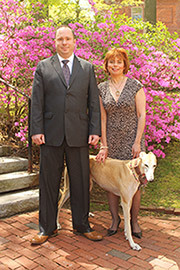 There will also be proposals, though, that would harm greyhounds and we will have to defeat. "The general law must ... provide sufficient revenue to the horse and greyhound breed registries and the horsemen's organization to facilitate a nationally competitive horse and greyhound racing industry in this state." Also, SJR 6 would allow slot machines at up to eight licensed racetracks. This means that several greyhound racetracks that are currently closed would likely reopen. Greyhound racing has nearly ended in the Lone Star State. It is now limited to only one track, Gulf Greyhound Park. At Gulf, gambling on dog racing continues to decline while hundreds of greyhounds endure lives of confinement and suffer serious injuries. A year ago, we released video footage of some of the dogs who have died at Gulf. 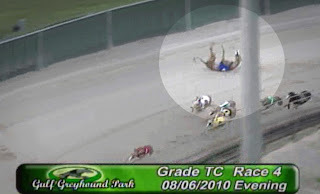 Between 2008 and August 2011 more than 1,300 greyhound injuries were reported at this track, and 49 dogs died or were euthanized. We are very close to the end of greyhound racing in Texas, and it would be a tragedy if dog race promoters were bailed out now. This would be a disastrous policy, and would cause the suffering and death of countless greyhounds. As we move into the legislative season next year, we will keep you updated on Texas SJR 6 and all of the other greyhound related bills. Working together, I know that we can make even more progress for these wonderful dogs. sick, cruel people who abuses helpless, innocent, loving animals!